A popular tourist resort located just 6 km north of Paphos, Coral Bay has, over recent years, become one of the leading resorts in Cyprus. It is well situated between vineyards to the north and banana plantations in nearby Peyia, but it’s the beach and coastline that brings the people to Coral Bay. The climate in Coral Bay is typically Mediterranean and, due to its location, can be one of the hottest parts of the region during the summer. Summers are hot and dry (they can be utterly rainless from May - mid-September) and the summer skies are generally cloudless and bright for up to 13 hours of the day. Along with the beach, those on a Coral Bay holiday will find that this resort has all the facilities you’ll need along with entertainment and a wide selection of bars and restaurants all right near the hotel. 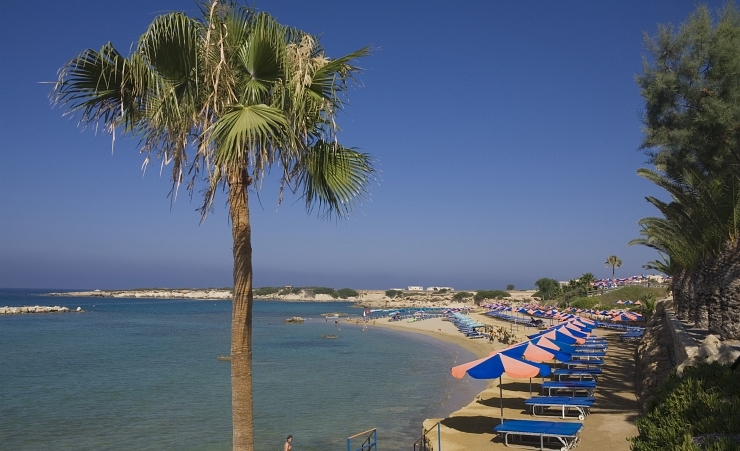 A day trip to Paphos is a must-do when visiting Coral Bay. A town full of ancient history, Paphos is home to the best range of shops and souvenir stores you can find in Cyprus and is just a hop, skip and a jump away. With Paphos being so close to Coral Bay, you’ll be able to find a holiday that suits any taste, from lively and entertaining to quiet and more relaxed. The beach in Coral Bay is perfect for swimming thanks to its soft sand and calm seas. The beach has limestone cliffs at either side of its horseshoe-shaped cove and an abundance of water sports including parasailing, diving, water skiing and scuba diving. The Coral King restaurant is unmissable and not just because of the golden crown on its roof! It’s a fun and friendly place serving traditional Cypriot food. Coral Bay has a procession of cocktail bars and pubs lined up to keep you entertained after a day full of swimming, sunbathing and activities. If you're taking the day to experience the attractions that Coral Bay has to offer, there are four different quad biking safari routes on offer. 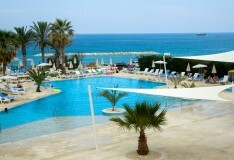 The young at heart will adore the slides, pools and activities at Aquapark Water Sol Resort in the western end of Paphos on the beachfront. Cyprus isn’t a vast island, meaning you can cross the south from Paphos to Larnaca in under two hours. 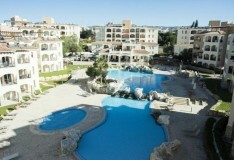 Why holiday in Coral Bay?